Sitting on 150 acres in Southern Virginia Beach, the Red Mill project is a source of great pride for Venture. Our team identified the site for major retail development in 1997 and created a long-term relationship with the landowner that remains today. We secured major big box retailers and junior anchors in an area then only known as a “corn field,” and constructed several miles of 4-lane divided right-of way with no City, State or Federal participation. 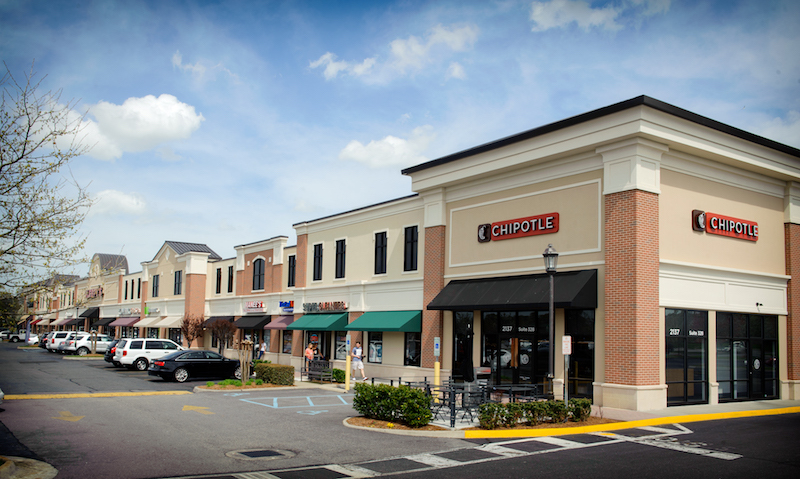 Tenants include Super Wal-Mart, Target, Home Depot, Petco, Chipotle, Five Guys, Homegoods, TJ Maxx, Michaels, Pier One, Panera Bread, Walgreens, Kay Jewelers, Outback, Chili's and many more. Today, the Red Mill project includes over 1 million square feet of retail, 128 condo units, and 227 multifamily apartments. Unlike Red Mill, the Marketplace at Hilltop began not with aggressive marketing, but with a rigorous series of interviews. The Davis Family selected Commercial Real Estate Services and Ellis-Gibson Development Group among various other candidates to assist with the leasing and development of the former trailer park. The property was the last undeveloped quadrant at the popular intersection of First Colonial and Laskin Roads. We performed a variety of development services, including coordinating relocations of the existing residents, an extensive rezoning process to include right-of-way negotiations, and securing anchor tenants. The Marketplace at Hilltop is a 120,000 square foot center featuring Total Wine & More, Michaels, Le Yaca French Restaurant & Bistro, Chick-fil-A, Panera Bread, Orangetheory Fitness, Pure Barre, Color Me Mine and many more. In 2003, Ellis-Gibson Development Group responded to Amerigroup’s (currently known as Anthem) request for two 106,000 square foot office buildings (212,000 total square feet) to serve as Amerigroup's National Support Centers. The competition was national in scope. Ellis-Gibson teamed with affiliates of the Christian Broadcast Network, the Commonwealth of Virginia, and the City of Virginia Beach to produce the winning team. The ownership structure features a joint venture partnership between the principals of Commercial Real Estate Services, Ellis-Gibson Development Group, and VTC/CBN. The project is financed by EverBank. Commercial Real Estate Services and Ellis-Gibson Development Group once again teamed in 1993 to assemble 13 properties along Big Bethel Road and Hampton Roads Center Parkway at I-64 in Hampton, Virginia. The assemblage was rezoned, entitled and re-subdivided. 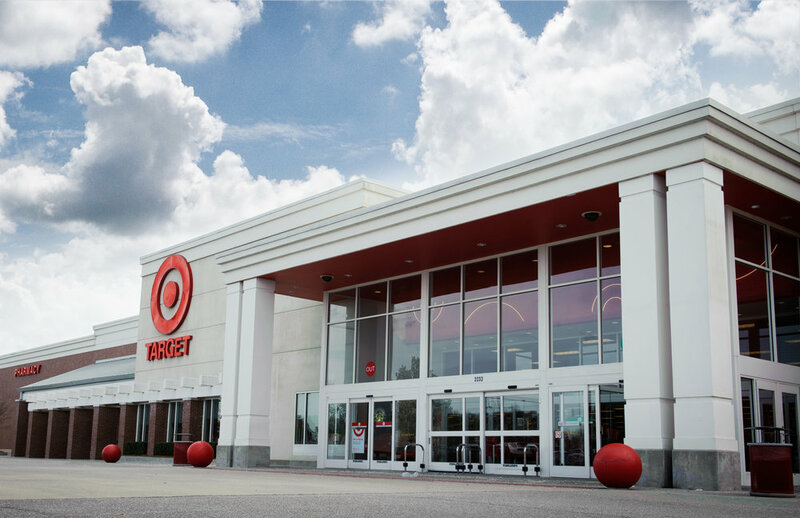 The project emerged as Hampton Towne Center and featured Virginia’s first 24 screen AMC Megaplex movie theater and an additional 200,000 square feet of community retail anchored by grocery, pharmacy and junior boxes. The development team worked through numerous development challenges, including AICUZ issues with Langley Airforce Base, wetland considerations, access issues, while simultaneously acquiring 13 separate parcels. The project was financed by CFB, Property Investment Advisors and Grandbridge Capital, and later sold to affiliates of Prudential Insurance Company. 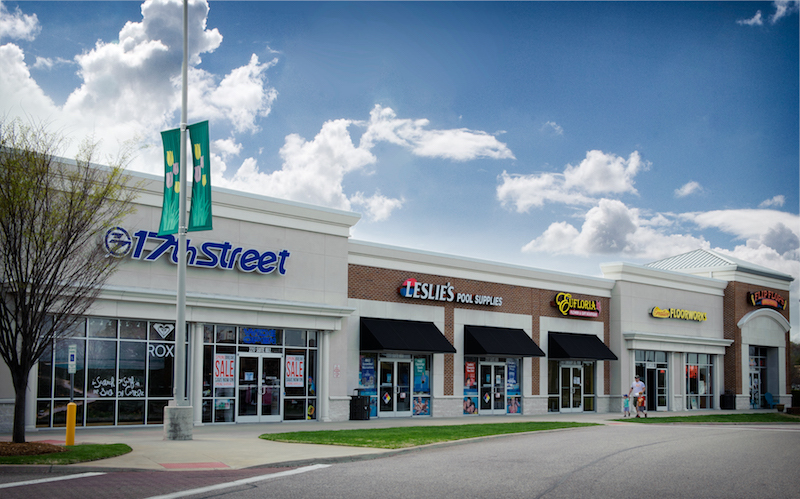 In 1992, Commercial Real Estate Services and Ellis-Gibson Development Group teamed to build the 90,000 square foot neighborhood shopping center located in James City County known as Governor’s Green. Located on Ironbound Road at John Tyler Highway (Route 5), "the oldest highway in America," the project featured the development of a grocery store, pharmacy, shops and outparcel. Governor’s Green was the first of six Winn Dixie anchored centers developed by Commercial Real Estate Services and Ellis-Gibson Development Group. The team overcame zoning, access and environmental issues specific to James City County. The project was the first loan made by Bank of America in Hampton Roads following the real estate crisis of 1990. Miller Building was the general contractor and Conseco Life was the permanent lender. 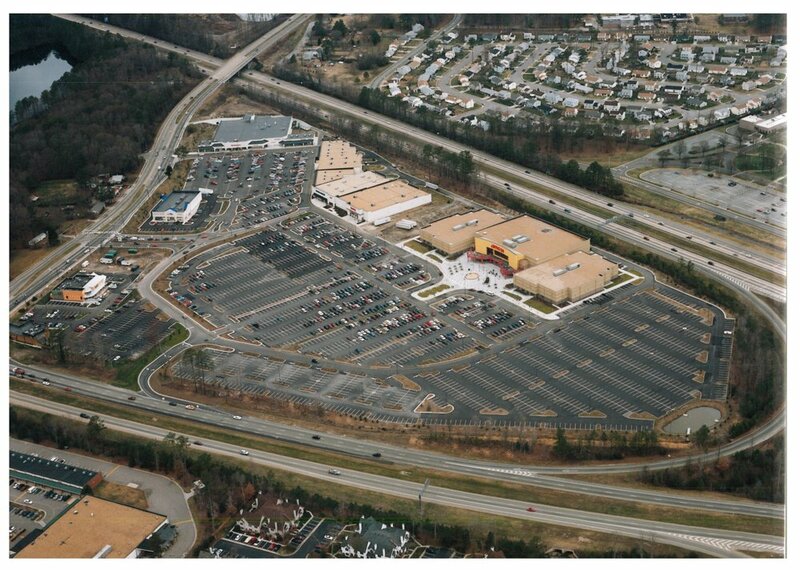 In 1996, the team partnered with the City of Virginia Beach to build and lease a 664 space public parking deck. This innovative leaseback structure and partnership between the City and the developer/owner, pre-dated the now widely used PPEA concept. This deal featured the land owner retaining fee ownership of the ground floor and selling the air-rights above for construction of the actual parking deck. The deck was sold to the City in 2005. 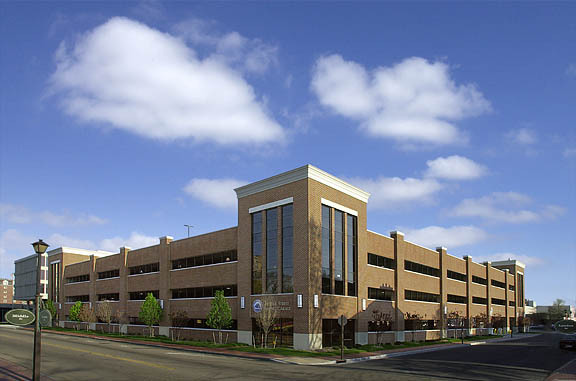 In 2001, Ellis-Gibson Development Group financed and developed a 474 space parking deck for the City of Portsmouth. The City had a parking need to support the recently built Virginia Sports Hall of Fame as well as the Portsmouth's Children's Museum, both located on High Street. We acquired a number of lots from various owners, re-subdivided, and built the parking deck for the City. Upon completion, the deck was purchased by the City of Portsmouth. 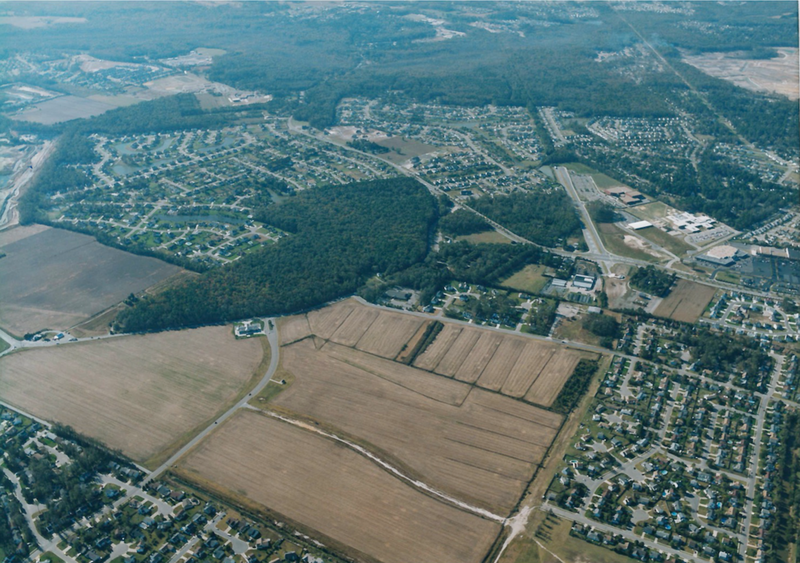 The Edinburgh Commons projects collectively comprise the largest new retail development in the city of Chesapeake since the mid-1980s. Commercial Real Estate Services partnered with the land owner to overcome a number of development challenges including obtaining rezoning, environmental approvals, access and infrastructure package to support 200 acres of development. This interstate commercial mixed use project encompasses three quadrants of the interchange of Route #168 (Chesapeake Expressway) and Hillcrest Parkway. Today, the project includes retailers such as Super Wal-Mart, Home Depot, Target, Cinema Café, Sentara, Chick-fil-A, Wendy’s, Cracker Barrel, McDonalds, WaWa among other national and local retailers.